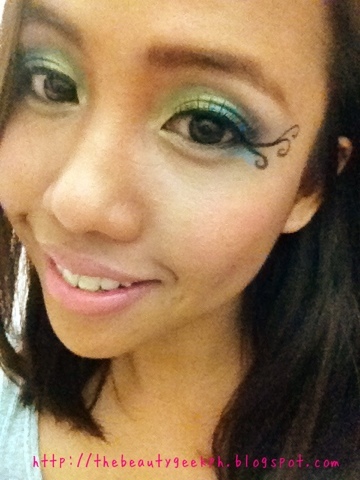 My failed attempt of gradient make up. Hehe oh well, practice makes perfect. I was itching to play with my make up a while ago, unfortunately, my favorite ones were left at my hometown.. Even my favorite brushes were there too. So, I used those that I have here in Manila.